Tilos This is an island with marvelous sandy beaches, full of springs and streams and Genoan towers. Tourists are still few. 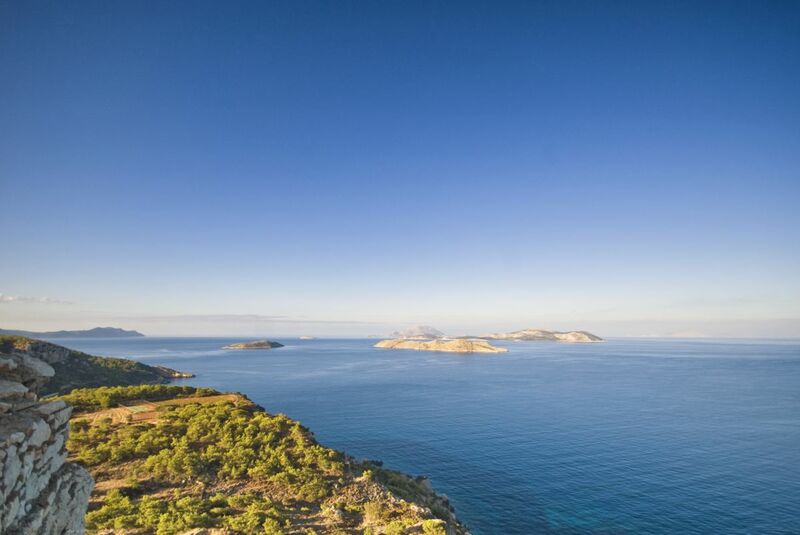 Tilos is situated between the islands of Nysiros and Halki, at a distance of 290 nautical miles from the port of Pereaus. It has an area of 64 square kms and a coastline of 63 kms. The ground is rocky with the only exception being a small fertile valley found almost at the center of the island and which ends up on the idyllic, one kilometer long, sandy beach of Erystou. Due to its strategic location, that allowed a 360 degree monitoring view of the sea and thus, the pirates’and the enemies’activities, the site was chosen by the Knights of the Order of St, John to build the castle. Originally, the castle was divided in three levels, each of them belonging to a different Grand Master. In 1480, the Ottoman Turks sent 100.000 soldiers across Rhodes in an effort to invade and conquer the island with a big number of troops sent to Kritinia as well, attempting to seize the castle. 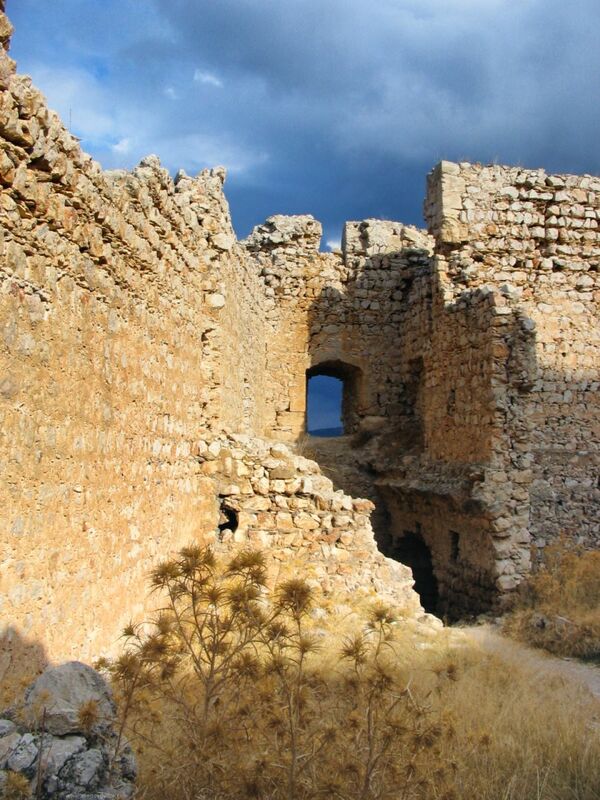 However, regardless of the fact that the Turks outnumbered the Knights a lot, and after many bloodshed battles, the Turkish troops finally retreated, leaving the castle full of ruins and damages. Without wasting time though, the Knights engaged themselves to restoring the damages that the castle had sustained, bringing it back to its original form. Only the shell of the castle still survives today. But above the rather disintegrated entrance of it, lie the coats of arms of two of the Grand Masters of the Medieval Era. The coat of arm of the Grand Master D’Amboise (1503-1512) and the one of the Grand Master Origny (1467 – 1476). Within the walls, there are also remnants of a chapel devoted to Saint John, where you can view amazing 16th century wall paintings. 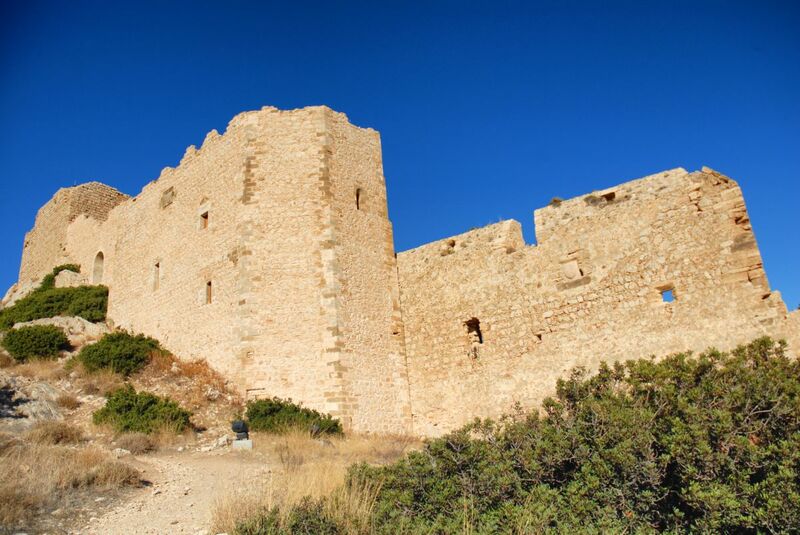 Fortunately, and as the Greek Archeological Services had realized the importance of the castle, a reinforcement programme will take place in order to conserve and renovate the damaged sections of the castle and the church. 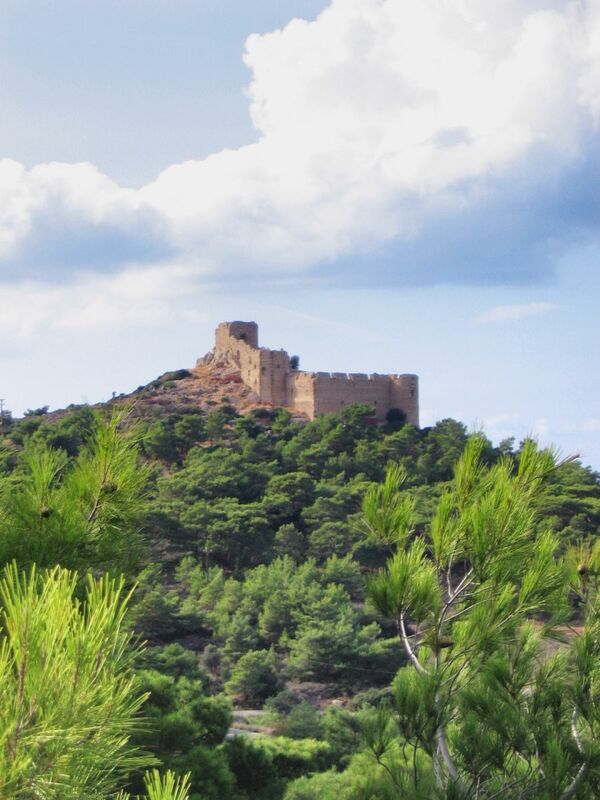 The castle is located 48.6 km (approx. 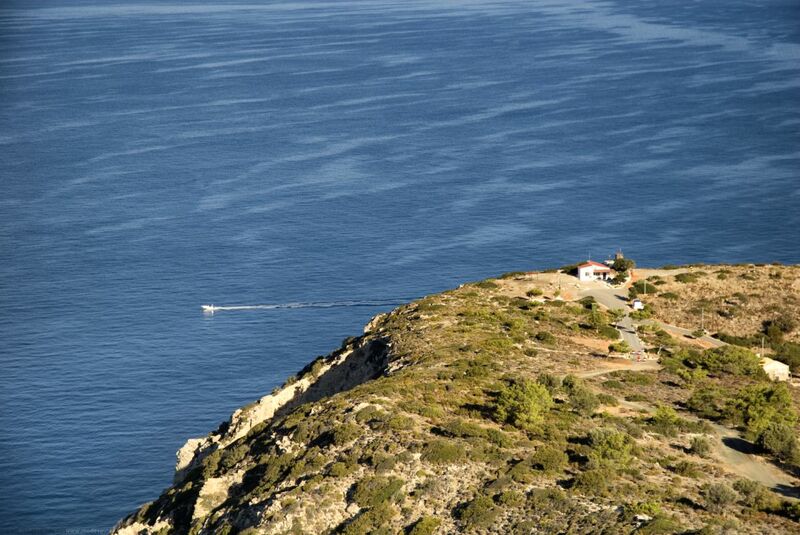 58 mins driving time) from Rhodes Town. The hill on which the village of Kritinia and the castle are situated are on a bus route, however in order to reach the castle you would have to cross a little dirt road that leads all the way up to the castle, so maybe hiring a car would be a good idea. I had the chance to visit this site. It is absolutely astonishing. the people in the area are very nice and there is a small museum about local culture nearby which is worth checking out. The ruins themselves are a nice stop. 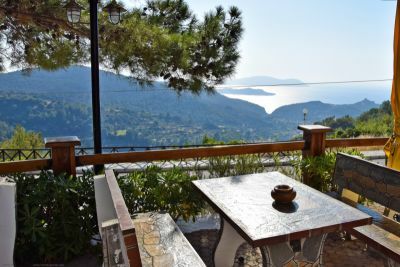 It is not an entire day excursion but the view is to die for and it is a nice place to get away from the touristy bustle of larger areas. The streets of Lindos are a maze of continuous buildings, chiefly with interior courtyards. Most of the houses have flat roofs, but some variety of types can be seen among the buildings that have not been affected by time and changes of use and shape. 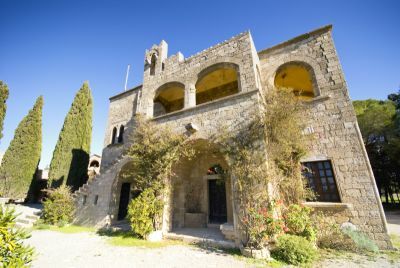 The material used in their construction is either the local quarried limestone (porolithos) or field stones which have been plastered and whitewashed.